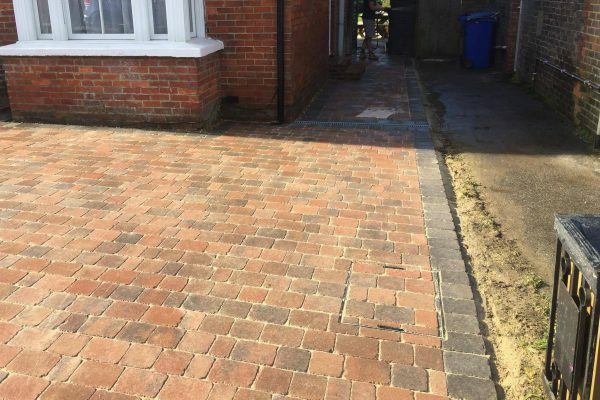 We had previously done several projects for this particular customer, so we knew that they wanted to completely transform their driveway and front garden. 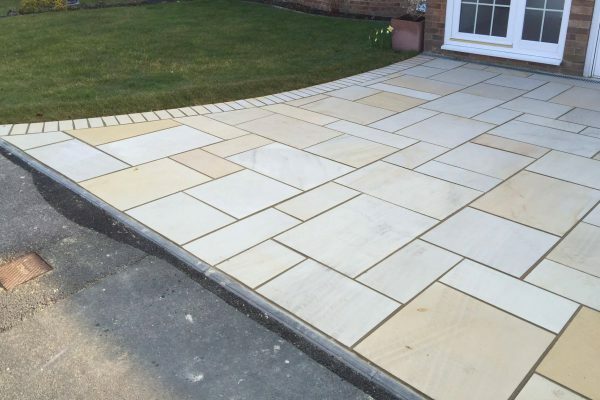 They originally had a large concrete driveway and a raised grassed area that they were no longer happy with. 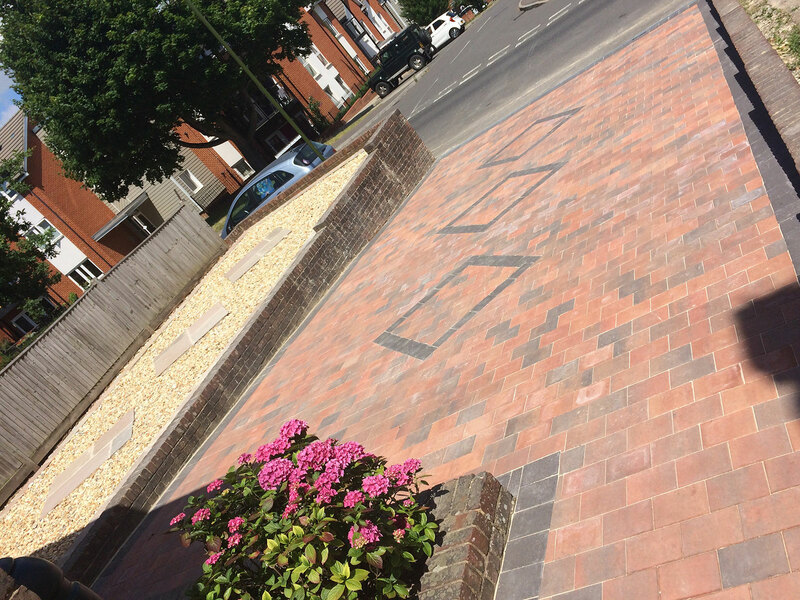 For the raised grassed area they were looking to have a feature area that provided little maintenance. 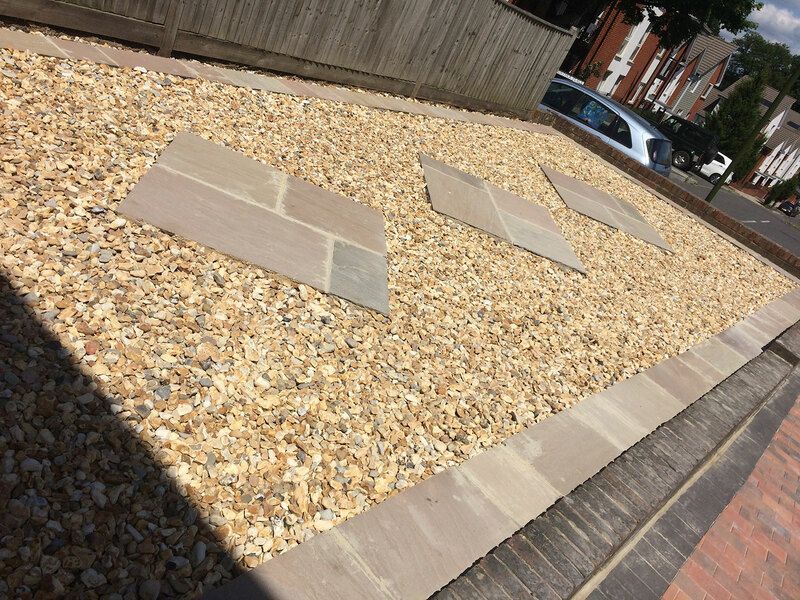 We excavated the area and laid shingle with a Indian Sandstone paver as a border as well as using Indian Sandstone for a feature area in the centre. 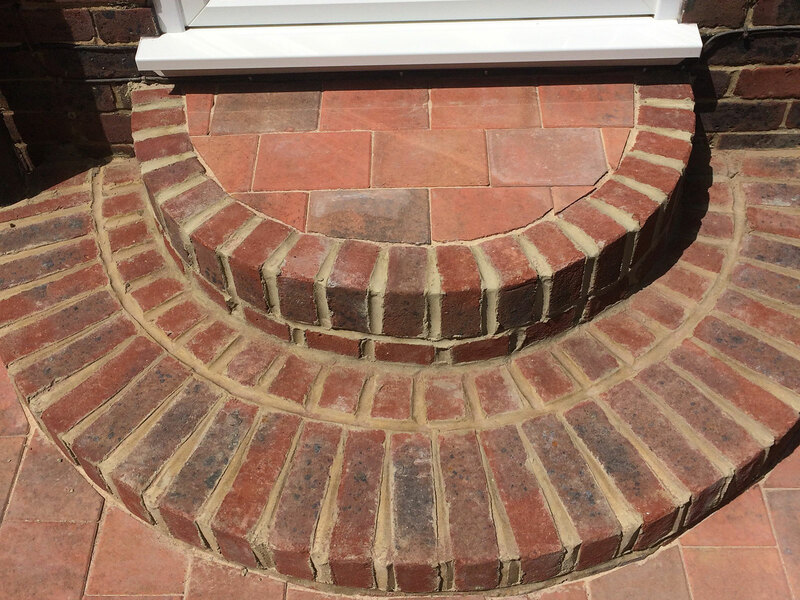 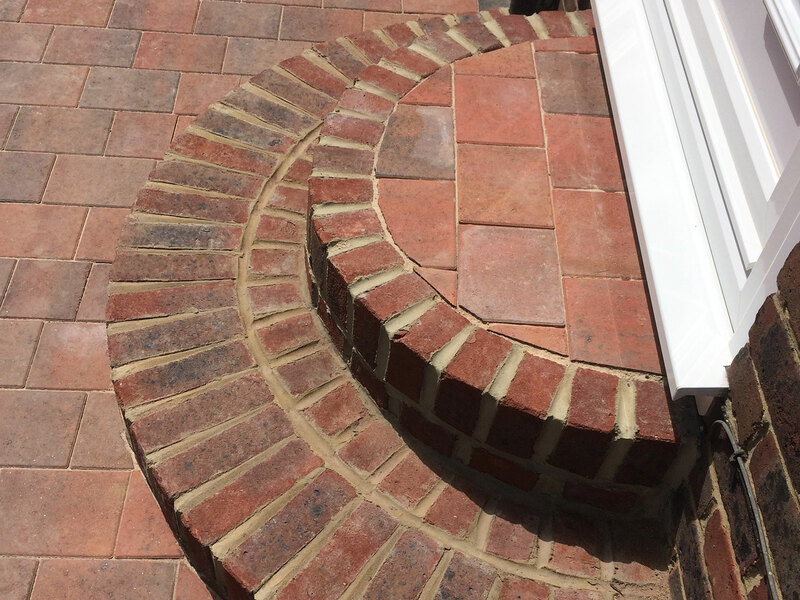 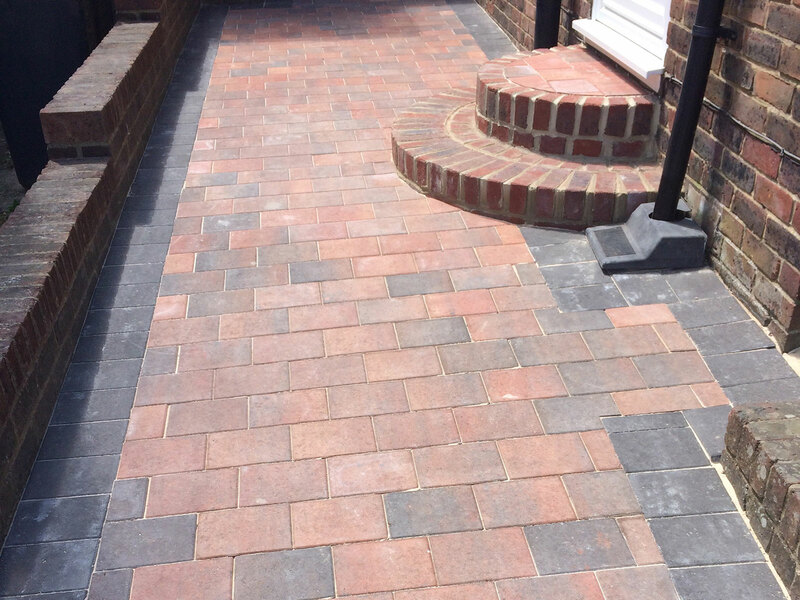 The customer chose to have block paving laid on their driveway and to help then decide on which paving they would like we offered them address’ of other recent projects we had carried out for them to go and view to assist them with making a decision. 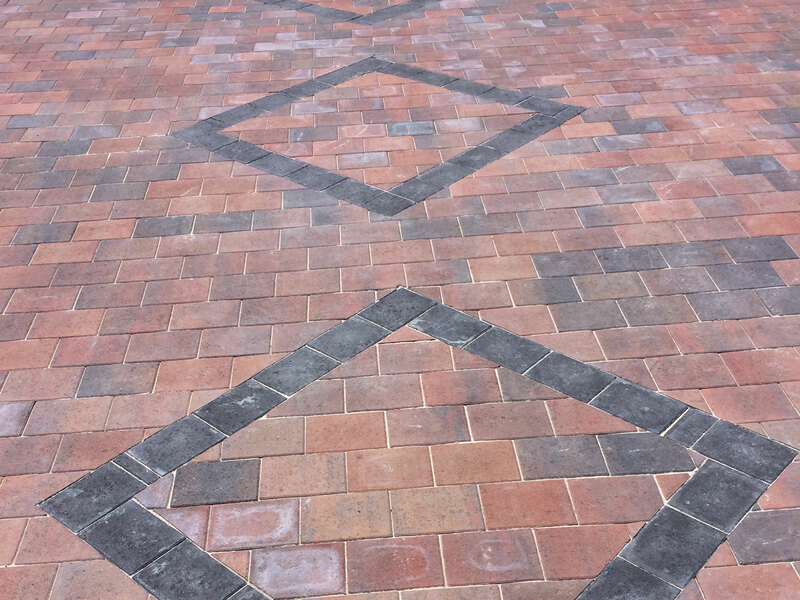 The customer decided to go for Boulevard Block Paving in the colour Cashel. 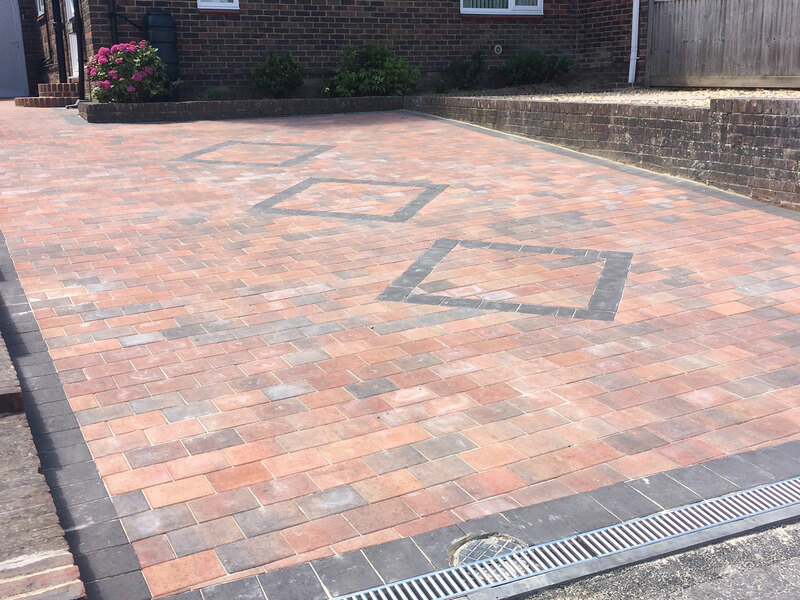 During the installation process we laid a triple diamond feature in the centre which made their driveway completely unique. 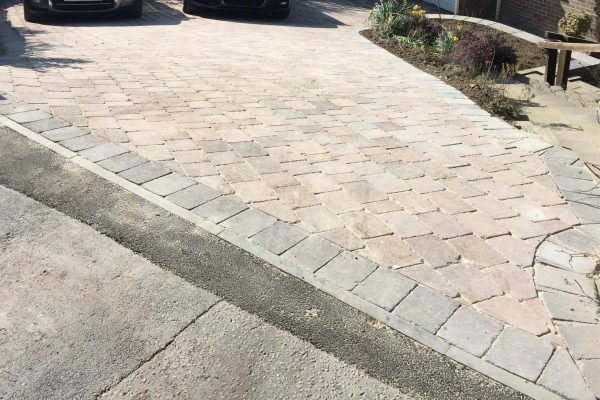 The driveway edging, and Diamond Feature was laid using Boulevard block paving in the Slate.